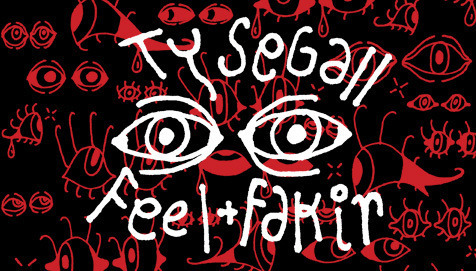 Ty Segall's first new release since last year's Sleeper/Gemini albums is a 7-inch housing two new songs. “Feel”, a thumping romp-around jaunt that he set loose on the Coachella crowd last month is followed by “The Fakir”, which takes side one's energy down a notch onto a more introspective plane. Segall has a way of passionately blending acoustic and electric elements without ever being obvious while simeltaneously saying something new about him as a musician and songwriter, no matter how many projects he has his hands/vocal cords on. Grab the new 7″ when it hits stores everywhere on May 20th, via Drag City.